Specifically designed with the intricacies of education budget planning in mind. Whether you’re a MAT, academy or school, BPS will make budget forecasting, monitoring and consolidating a breeze. BPS and EduPay can be used together to create a highly efficient system, fully equipped to handle all your budget planning, payroll and HR needs. The need for dual entry is completely eliminated, saving you time and stress. BPS uses a central database to ensure accuracy, visibility & control of data for multi academy trusts. Consolidated budget reporting and monitoring, along with a multitude of innovative features make BPS the perfect budget planner for your MAT. Less time and less stress when your payroll rec is automated! Check and manage variances and have peace of mind- it’s all under control. You’ve got it covered. There’s more to school budgets than employees and funding. Plan for everything else with these scenarios. Show that you’re in control with our highly accurate 3-5 year forecasting- and no need to key in your data twice! Reports in the click of a button. Get your data as an excel sheet, as a PDF, or in 3D charts. Whatever you choose, reports are clear and easy to digest. How are things going? Compare your budget to your actuals and find out! See the bigger picture. 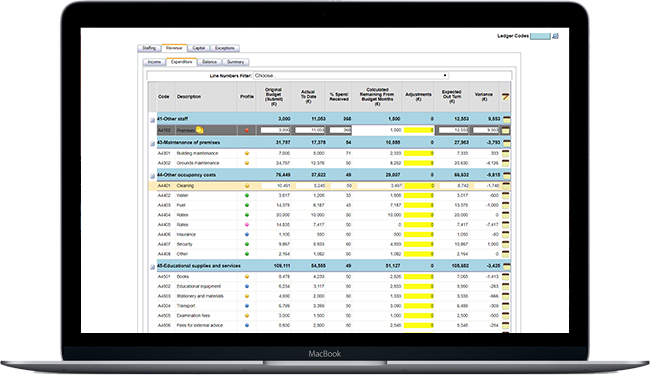 Designed with MATs in mind, consolidated reporting allows you to view your schools’ budgets at the MAT level. Take a deep dive to view, amend and add individual employees. View pay rates, pensions, leave, etc - all the detail you need in the click of a button. Personalised reporting on budget specifics e.g. departmental spend, senior leadership spend. Whatever you want, there’s a report for that. BPS integrates seamlessly with EduPay, creating and all-encompassing solution to budget planning, payroll and HR. duplication of data elimination of error.